My heart swells with love and hope. Education is the foundation for independence. When I was a little girl, I was expected to excel in academia. As a woman, education was woven into the thread of my existence. I realized when I was a teenager that education is denied to countless around the globe on the basis of gender. In many countries, girls are denied the right to an education. 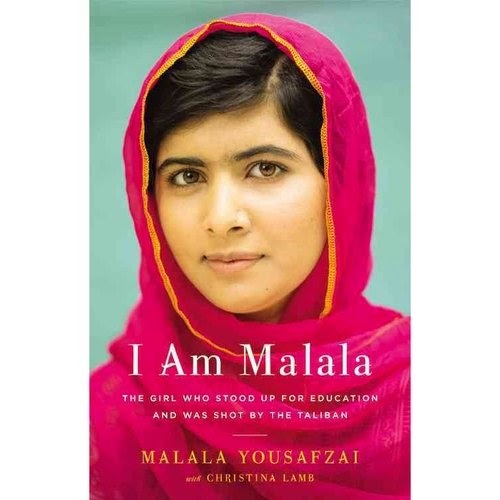 Malala Yousafzai courageously defied the cultural bounds placed upon her and she nearly lost her life because she was determined to go to school. She was shot in the head because she was on her way to school and that was forbidden. Today, she became the youngest person to win a Nobel Peace Prize. May your light keep shining and may you continue to inspire others. The world stands with you.